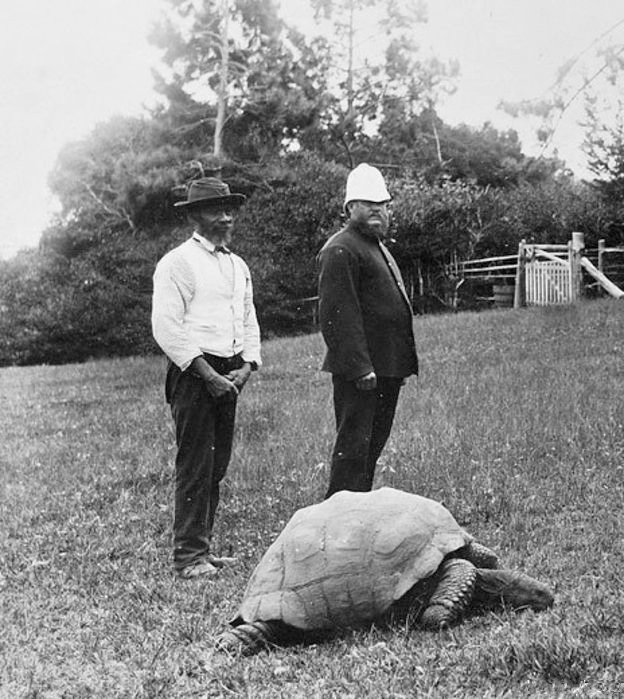 Jonathan the tortoise, who lives on the British-controlled island of St. Helena, is thought to be the world’s oldest living land creature. He has been kept in the paddock at Plantation House, the British governor’s residence. Jonathan, who is nearly blind and relies heavily on his sense of hearing, loves having his neck stroked. So happy to meet Jonathan! I just returned from vacation and had the great fortune of seeing a lot of turtles, snapping ones as well! This was a fun post, thank you.